1. Hormonal balance: EPO has a high content of the omega-6 essential fatty acids, Linoleic Acid (LA) and Gamma Linolenic Acid (GLA), both needed for healthy prostaglandin E production and synthesis. Prostaglandins are known to, in part, help control the regulation and balance of hormones. 2. Uterine tone: LA and GLA in EPO have been found to have a direct effect on uterine cells, contracting and relaxing them. EPO has this effect on all smooth muscle tissue throughout the body. 3. Improve reproductive organ health: Omega-6 fats can assist fertility by improving reproductive cell structure and decrease the risk of inflammation both to soothe and improve the health of the reproductive organs and all organs in the body (think period cramps and acne). 4. Increase cervical mucus: EPOs high level of omega-6 EFAs helps the body increase cervical mucus production while also aiding in hormonal balance for natural healthy cervical mucus production. 5. Reduce PMS: Four double-blind, crossover, controlled trials, have shown significant positive results in reducing PMS; specifically, that EPO can help improve the body’s ability to control premenstrual headaches, foggy thinking, clumsiness, depression, irritability, bloating, and breast tenderness. One cause of PMS symptoms like these is excess prostaglandins circulating in the body. A general dose is 1,500-3,000mg 1-2 times a day, or as the manufacturer suggests. If interested is using EPO during pregnancy or while lactating, consult a qualified herbalist, midwife or healthcare provider. Evening Primrose Oil is a Safety Class: 1A herb with no contraindications. It is best used from the beginning of menstruation until ovulation when actively trying to conceive, after which an omega-3 EFA like Cod Liver Oil can be used. 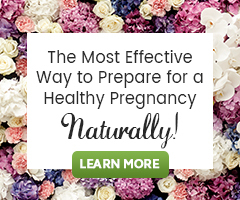 If not actively trying to conceive, EPO can be continued past ovulation. In spite of this beautiful plant being tagged “a weed”, it is truly a plant ally for women. Cherokee, Iroquois, Ojibwa and Potawatomi Native American records share of the use of Evening Primrose. Beyond EPO’s support for hormonal balance, uterine health and cervical mucus production, this oil is one way for vegetarians to get adequate amounts of omega-6 EFAs through their diet. The flowers are also edible and can turn any salad into a work of art (use flowers from second-year plants). Alfs, M. (2003). 300 herbs: their indications & contraindications, A Materia Medica & Repertory. New Brighton, MN: Old Theology Book House. Gardner, Z., & McGuffin, M. (2013). American Herbal Products Association’s botanical safety handbook. Boca Raton, FL: CRC Press /Taylor & Francis.